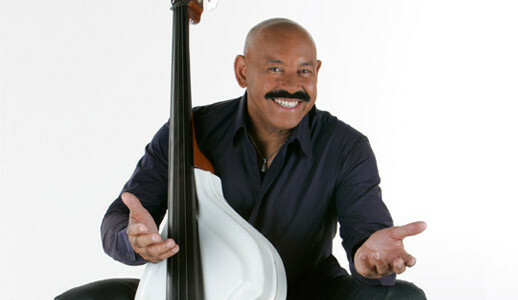 Oscar D’León is a Venezuelan musician of salsa music. He is the author of “Llorarás,” which he recorded in 1975 with his group La Dimensión Latina. He is also ambassador for Operation Smile. Oscar D’León was a long-time resident of the Parroquia Antímano section of Caracas (his father was a laborer at the neighborhood cemetery). He had a strong interest in percussion ever since he was a child, improvising bass parts with his throat while playing Latin rhythms with his hands on any available surface. He got in trouble in school early on for doing this constantly. He then took interest in the upright bass (he learned the instrument on his own), and would eventually alternate in jobs as an auto mechanic, assembly line worker or taxi driver (during the day) and bass player (at night) for local conjuntos. As he acquired a reputation for being a solid bass player, clever improviser (he would improvise entire songs on the spot), humorous entertainer and dynamic singer (he used to dance with a double bass onstage while singing, a not-so-subtle physical feat), he founded orchestras such as La Golden Star and music groups such as Los Psicodélicos. Together with percussionist José Rodríguez and trombone players César Monge and José Antonio Rojas, he formed La Dimensión Latina in 1972. Four years later, D’León quit the group and created La Salsa Mayor. With La Salsa Mayor he recorded the merengue standard “Juanita Morell”, a version that became a huge radio hit in Puerto Rico. He later founded La Crítica in 1978 in memory of the legends of Cuban Rumba, such as Miguelito Valdés. For a while, D’León would alternate singing with both orchestras, giving him enough flexibility to stay working constantly. This also gave him an opportunity of inviting some of his personal musical heroes (such as key members of the Sonora Matancera and Daniel Santos) occasionally onstage during live presentations. During the 1980s, D’León achieved success in salsa music, becoming one of the most successful singers of Caribbean music worldwide. In 1982 he visited Cuba. His visit was a major cultural event in the island country. Since local tastes in music had veered away from the traditional sounds of Cuban music (in part because many of the major Cuban stars of the past had either died or were living elsewhere in exile), D’León’s “retro” style of music became very popular among Cubans of all ages. Meanwhile, he got tired of carrying around his double bass, “and opening the case in baggage claim at the airport only to find it reduced down to toothpicks.” Therefore, he gave up playing a bass onstage. He also started shaving his head regularly, as to not bother with alopecia any longer. He would, however, never shave off his trademark mustache.